A recent study conducted by the several organizations, and coordinated by Michigan State University's Regional Export Strategies Project team, surveyed a number of SMEs. The results were simultaneously unexpected, startling and tremendously encouraging. However, they were not without concerning implications. First, the good news. Of companies which currently export 90% wanted to export more. News flash for the naysayers! Export works! These SMEs (average 50 FTEs) are finding enough business value and opportunity in export that they want to expand it. In keeping with a number of other studies one of the initial motivators was maintaining business with existing customers who moved operations overseas. But there was also a strong desire to initiate activity in emerging markets. The study also found that 73% of these companies were "completely unaware of federal export assistance providers and resources." Now regardless of where one falls on the political spectrum, it is hard to criticize the education and publicity efforts of the Department of Commerce since the National Export Initiative was conceived. Consistent broad reaching messaging routinely informs companies of support programs available and invites them to learn of new programs and ways in which the government can assist. That is reinforced through state and local agencies and trade groups which supplement the support and echo the federal message. And yet, these companies which are succeeding in export and wish to expand are doing so with no knowledge of institutional and infrastructural support. Imagine how effective their export programs could be if they didn't have to figure it all out on their own? How quickly would export growth accelerate? The companies specifically cited regulatory, foreign market and logistics inexperience as limiting factors in 78% of responses, and financial constraints in 74%. These "barriers" are restricting their growth. There are real and/or perceived hurdles to success. These results track with the findings of a recent McGladrey study which found that exporters focus on transactional details in their early export activities, leaving the critical strategic steps to be discovered in later phases. Companies can recover, but momentum is sacrificed. Companies need help. They need it early. They require a comfort level with transactional issues but need strong guidance in the early formation of strategy to direct the nascent export efforts. Federal, state, local and trade groups can offer encouragement and specific support in certain areas. 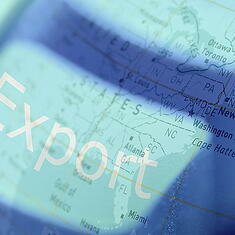 None, however, can provide the comprehensive end-to-end support which potential and early exporters really need. The key to long-term international business development success is broad planning, preparation and execution support. Export advisory is often provided in silos, and therefore many companies only acquire elements of what should be a synthesized program to support vibrant business growth. But resources are available. Companies serious about realizing the enormous potential benefits of international business development can engage advisors to assist with planning, preparing and executing a comprehensive integrated strategy which simultaneously reduces risks and enhances the likelihood of long-term profitable success. That's how Consilium Global Business Advisors assists companies. If you're concerned that your company may be like one of those in the MSU study, eager to succeed in export but held back by lack of experience, we can help.